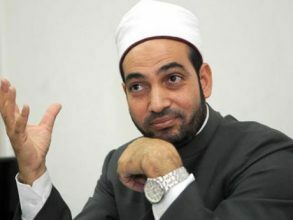 Press Agencies – Egypt – Prominent Islamic cleric and former deputy minster in the Endowments Ministry Salem Abdel Galil faces a lawsuit accusing him of contempt of religion and threatening national unity after he claimed last Thursday that Christians and Jews follow corrupt religions and are non-believers. Members of the Egyptian parliament (MPs) announced that they have filed the lawsuit against Abdel Galil on Thursday after his remarks during an episode of his television show “Muslims Ask”, aired on 3 May on Al-Mehwar TV. 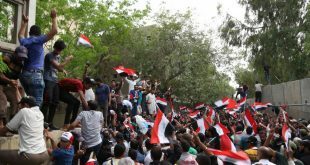 MP Emad Gad said in press statements that Abdel Galil’s statements are “not suitable for a phase of establishing national unity among all Egyptians.” Gad added that the problem is that Abdel Galil is a prominent cleric who represents the Ministry of Endowments and that a television channel is not the right place for what he said. 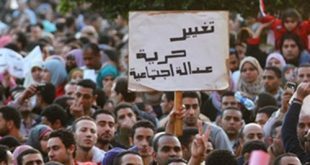 The MPs who filed the lawsuit against Abdel Galil are Tharwat Bakheet, Emad Gad, Mohammed Abu Hamed, Ehab Mansour, Reda Nassif, Nadia Henry, John Talaat, and Margaret Azer. Moreover, Abdel Galil is set to face a trial at the Cairo Misdemeanor Court on 24 June on charges of contempt of religion and threatening national unity, according to lawyer Naguib Gibrail who filed another lawsuit. Furthermore, the Islamic Research Complex, which is affiliated to Al-Azhar, held a meeting on Thursday, headed by Grand Imam of Al-Azhar Ahmed Al-Tayeb. It issued a statement to denounce what Abdel Galil said. After the wave of criticism, Abdel Galil claimed in a statement published on his Facebook page that he was explaining a Quranic verse and did not mean to hurt the feelings of Christians. He added that he apologises for “hurting Christians’ feelings” but would never apologise for his religion. He explained that even if Muslims view non-Muslims as “followers of corrupt religions,” it does not legitimise killing them or stealing their belongings.